First of all, we would like to send a big thank you to our players, staff, fans, coaches, sponsors and all the local members that participated to make 2015 a great season for FC Miami City Champions. 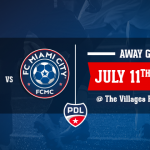 Although the final result (eliminated form the playoffs in the wild-card game on July 25th by Ocala Stampede) didn’t meet expectations, gaining a playoff berth for the first participation of our club in the PDL championship, as well as the play on the field is something to be proud of. Because we had a tremendous 2015 season we are already looking forward to next year already. Our tryouts’ registration are now opened. 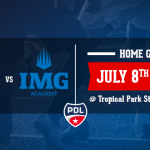 This is a unique opportunity for participants to receive direction from a profesionnal staff that regularly prepares players for the highest levels of competition in the PDL championship. 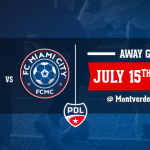 Are you ready to defend your city and play for Miami’s Official Soccer team?